Suggestive sell has always been a key component of the QSR industry as it has a long history of positively increasing sales. Tactics on how best to utilize a suggestive sell strategy will largely depend on the brand and how easily the structure of their menu lends itself to such offerings. But, as QSR finds itself at a strategic crossroads, with customers seeking healthier menu choices and increased personalization, this should be a great opportunity to utilize suggestive sell to your brand’s advantage. 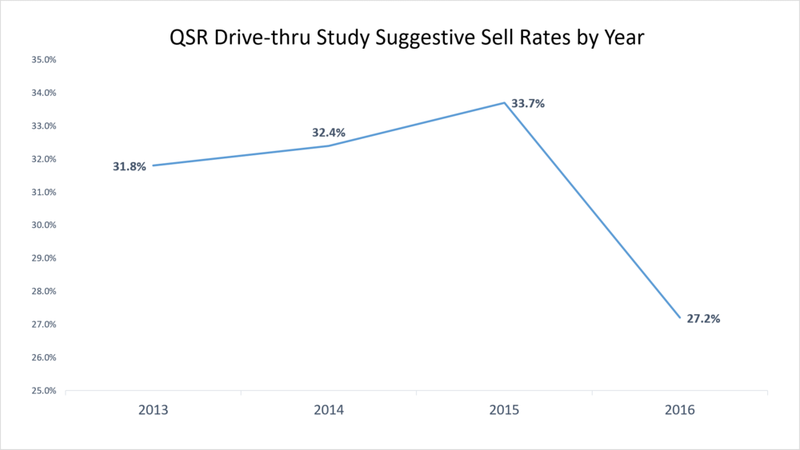 Over the past few years, the QSR Drive-thru Study has measured suggestive sell and from 2013 to 2015 it gradually increased year over year, however, 2016 saw somewhat of a dramatic dip in suggestive sell offerings. Even while observing the isolated data from the top QSR brands in the study, this number was still quite low. To better understand what was happening we decided to dig further into brand performance by suggestive sell. Not only would that provide us a reason for the dip, but it would also provide us some telling data from a brand standpoint. 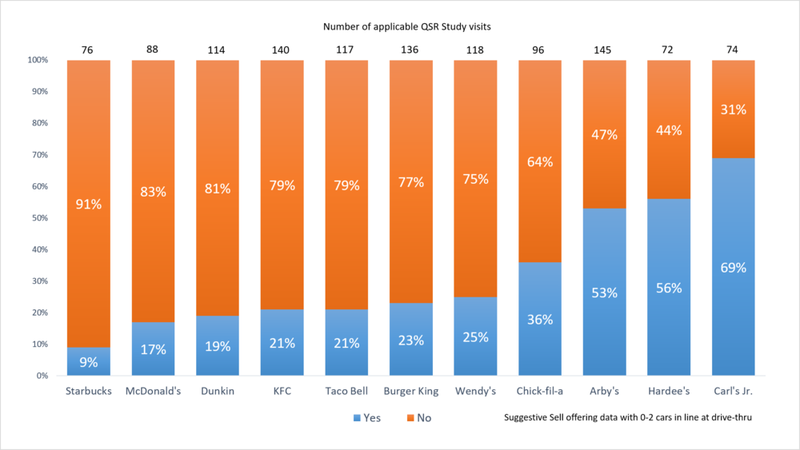 Additionally, we wanted to identify where within suggestive sell brands could work on performance and the easiest way to do that would be to look at data for when there were 2 or fewer cars in line when the evaluator entered the drive-thru. 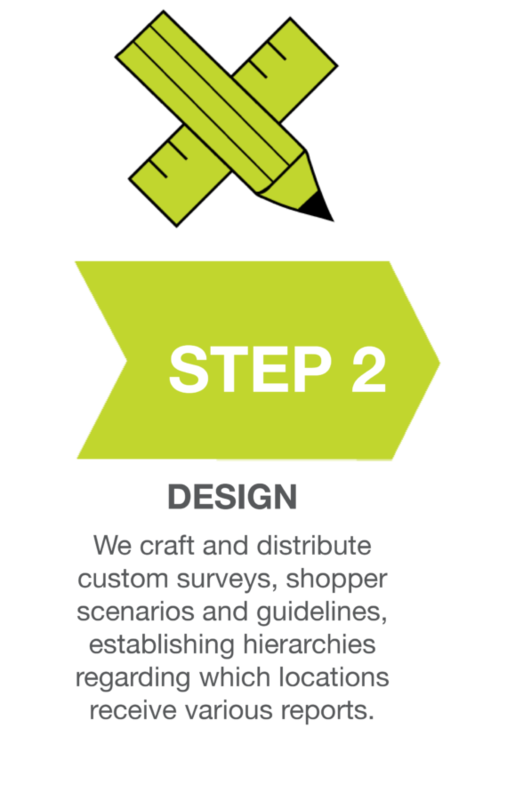 This would provide us with the most ideal situation by which to gauge each brand’s performance. If a brand was looking for where to improve, this would be it. Because the graph above is showing us suggestive sell when there were only 0-2 cars in line during the drive-thru study, this should be a prime opportunity for most brands to display optimal performance when it comes to this offering, but unfortunately for many, suggestive sell rates continued to be low. Notable exceptions, where a brand offered suggestive sell during more than half of their visits, include Arby’s, Hardee’s and Carl’s Jr. The remainder fall vastly below not only the 2016 average of 27.2%, but for most more than 10% below the 2015 average mark of 33.7%. As suggestive sell is highly important for your brand performance, ensure you’re not only creating a program staff can easily apply to orders, but also monitoring it before, during and after implementation. In this highly competitive QSR world, each and every customer is a valuable one.